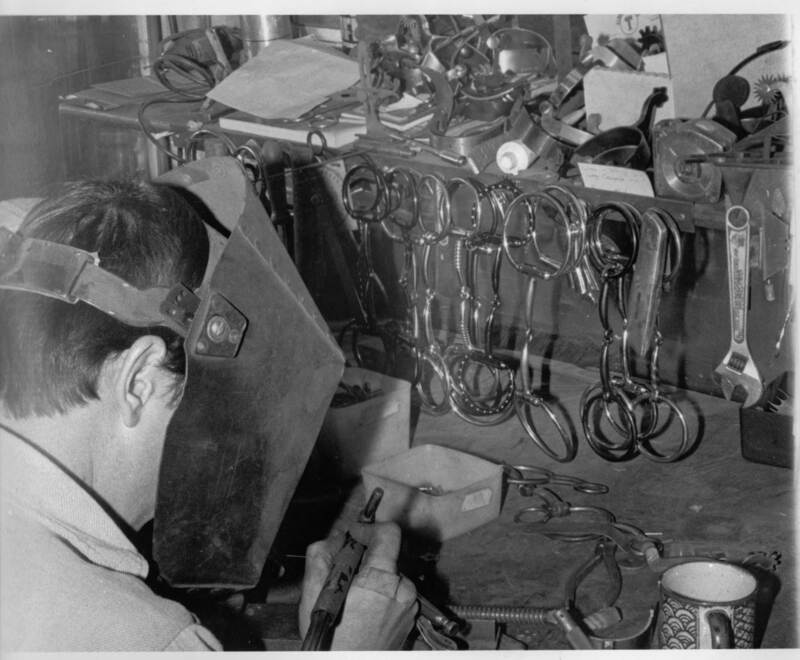 Ever wondered how those beautiful, extravagant bits and spurs used in Western riding are made? 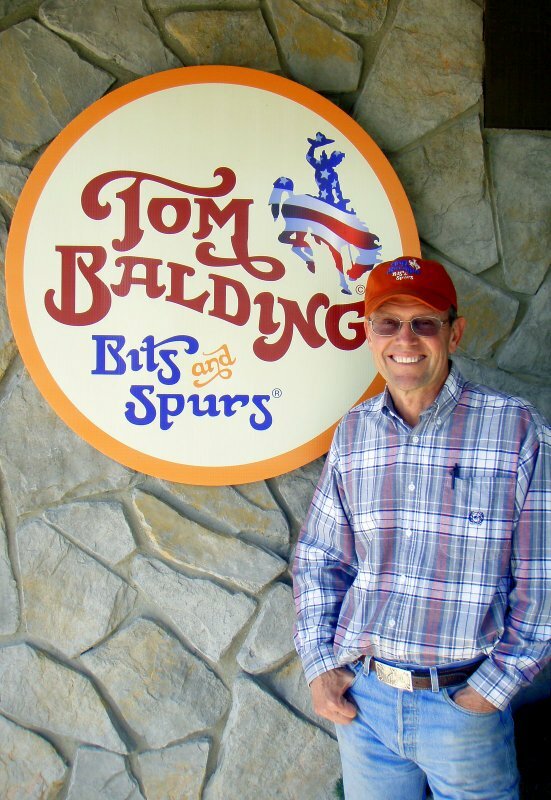 I caught up with Tom Balding, America’s premier manufacturer of high-quality bits and spurs, for some inside information. With his soft, drawling accent and laconic delivery, Tom Balding, eponymous proprietor of Tom Balding Bits & Spurs, sounds to my British ears as though he’s just stepped off the set of a Western movie. It comes as a surprise, therefore, to learn he’s actually from Southern California, and has a background in precision manufacturing. Tom’s company makes bespoke, handcrafted bits, spurs and other items. Although the majority of his bits are for Western riding, he also makes a selection of English riding and polo bits. He’s also got a number of what he calls ‘crossover’ bits, i.e. Western bits introduced to the English market, and vice versa. Customers can build their own bit by selecting a mouthpiece and shanks (curbs) from a huge range. All Tom’s bits and spurs are custom-made on the premises, and his busy workshop attracts daily tourist tours. Instead of being cast (made with molten metal poured into moulds) all Tom’s products are precision cut in parts then fitted together. It takes a steady hand to weld each part precisely to the next, and to apply the trademark decoration – rows of dots made from tiny blobs of stainless steel. Although a few of the more common, simpler bits are kept in stock, most of Tom’s products are custom-made to order. 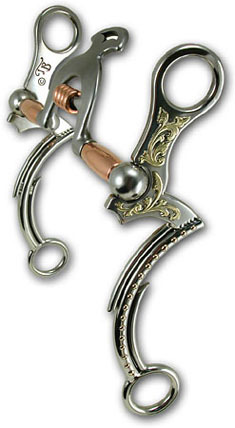 Many customers, for example, like to have a logo or monogram on their spurs, and this requires a high level of care. “We glue the design onto sterling silver, cut it out with a jeweller’s saw and then build it onto the spur for a truly unique result,” explains Tom. The finished results look like miniature works of art, with letters, motifs and silver chasing running round the heel bands of the spur. Tom and his three fulltime workshop staff turn out around 3,500 bits a year. Each member of the highly skilled team can turn his hand to any part of the process, but each also has his own specialisation. Tom sells his products all over the world, to such far-flung countries as Israel and Argentina, and would love to have a bigger presence in the UK. He’s just got back from a visit to Germany and Austria, where he’s been talking to two stores who stock his products and collecting their feedback. Despite his globetrotting, he’s clearly deeply attached to his adopted hometown of Sheridan, Wyoming, recently voted the Number One Small Town for Cowboy Charm by Western Horseman Magazine. It’s a perfect base for the man who makes his living from horses, applying his unique blend of skills to creating individual, custom-made products designed to last a lifetime. For more information about Tom Balding Bits & Spurs, including a video of Tom at work, visit www.tombalding.com. All photos courtesy of Tom Balding Bits & Spurs. All rights reserved.